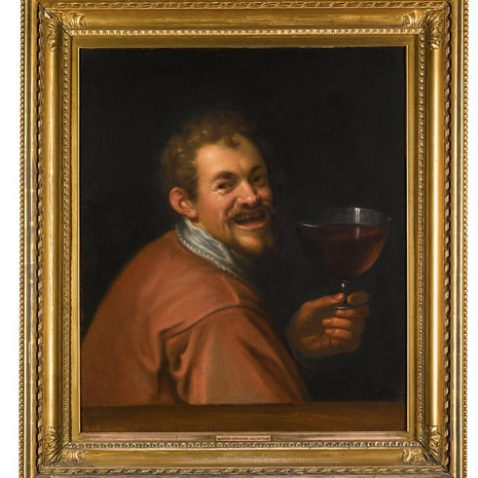 Art and Wine: “The Merry Toper” by a “Follower of Hans von Aachen”. “I’ll have a very large glass of red wine, please…” A nice image that I found in the catalogue for the March 2017 auction of “Two Great Scottish Collections: Property from the Forbeses of Pitsligo and the Marquesses of Lothian”. The painting is possibly mentioned in the 1788 Newbattle Abbey inventory as “A man with a glass in his hand”.